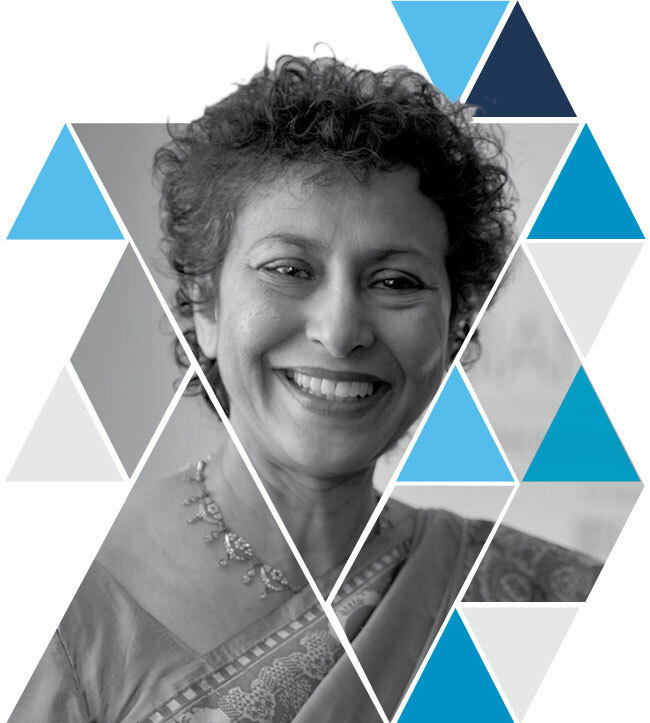 Irene Khan is a Bangladeshi lawyer, author and human rights activist. She served at the United Nations High Commissioner for Refugees (UNHCR) for 20 years, and was the seventh Secretary General of Amnesty International from 2001 to 2009. In 2011, she was elected Director-General of the International Development Law Organization (IDLO) in Rome, where she works for the promotion of the rule of law, justice and development. Khan has dedicated her life to drawing attention to hidden human rights violations. During her esteemed career at UNHCR, her work promoted the international protection of refugees. 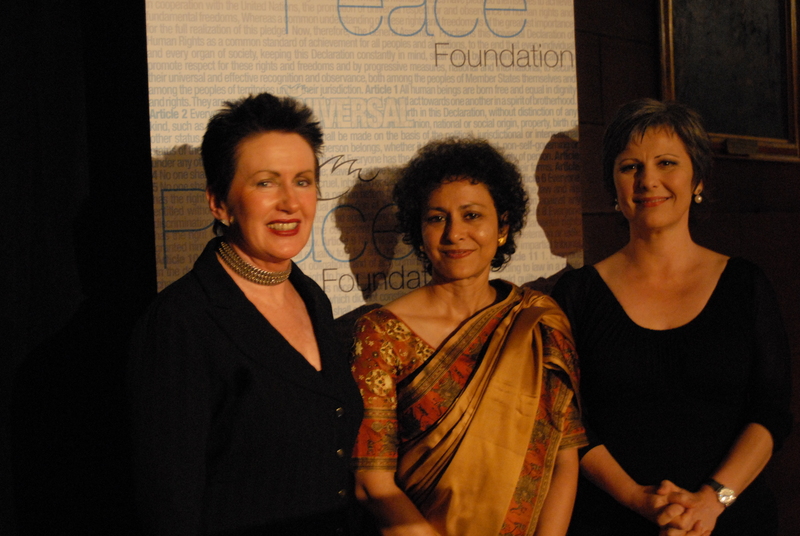 In 1995, she was appointed as Chief of Mission in India, as the youngest UNHCR country representative at that time. In 1998, she became the head of the UNHCR Centre for Research and Documentation. She went on to lead the UNHCR team in Former Yugoslav Republic of Macedonia during the Kosovo crisis in 1999, and was appointed deputy Director of International Protection later that year. 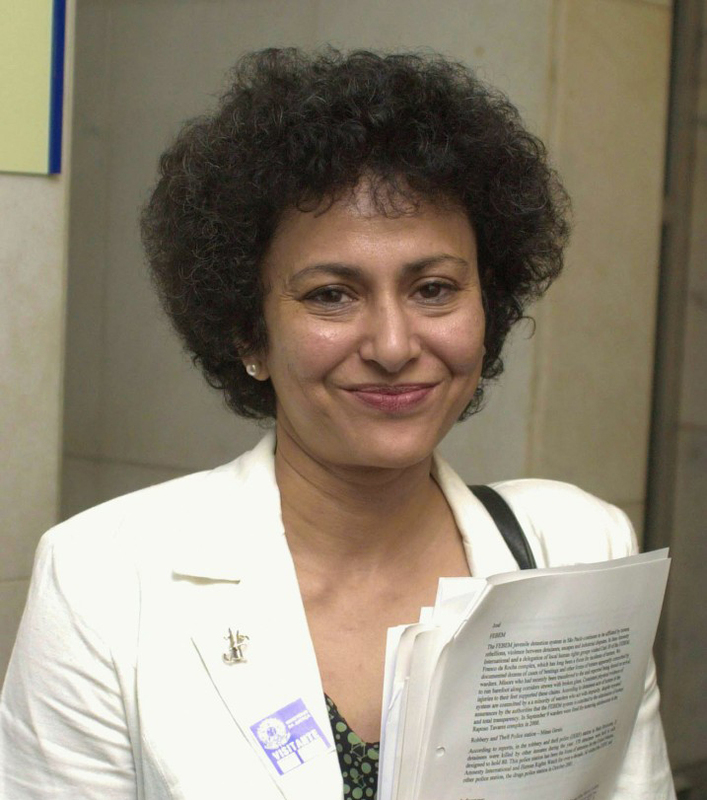 In 2001, Khan became the first woman, first Asian and first Muslim to be Secretary General of Amnesty International, bringing new perspectives to the world’s biggest human rights organisations. 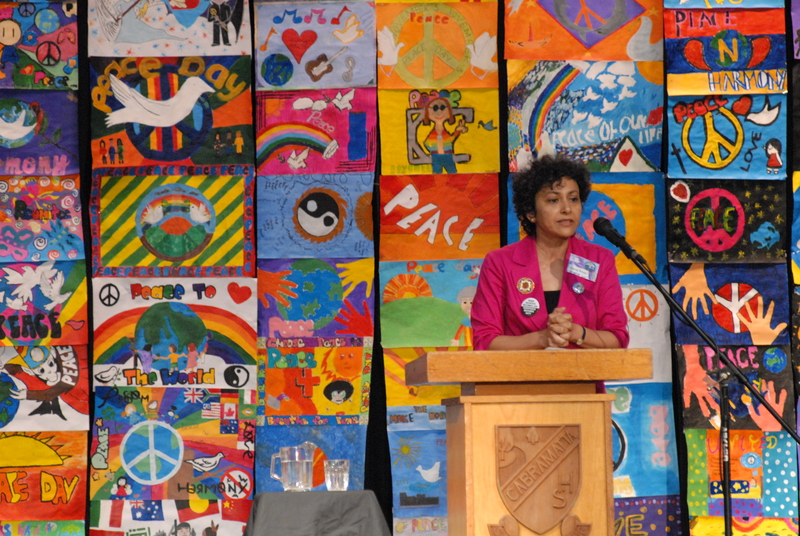 At the helm of the organisation, she led Amnesty through developments in the wake of the attacks of September 11 , resisting the backlash against human rights, expanding its work on economic, social and cultural rights, and launching a global campaign to stop violence against women. In her first year in office, Irene reformed Amnesty’s response to crisis situations, and undertook high-level missions to Pakistan, Afghanistan, the occupied Territories and Israel, and Columbia, ahead of its 2003 presidential elections. Deeply concerned about the violence against women, Khan called for better protection of women’s human rights in meetings with President Musharraf of Pakistan, President Lahoud of Lebanon and Prime Minister Khaleda Zia of Bangladesh. The Peace Prize Jury recognised the significance of Ms Khan’s efforts to eliminate violence towards women, whether that violence was caused by poverty, by men’s abusive power, by cultural norms or religious traditions. They were also impressed by her diversity – she is a thought leader who was brought up as a Muslim in Bangladesh, married into another culture, was educated in three different countries and has served the United Nations High Commission for Refugees for over 20 years before becoming Secretary General of Amnesty International. 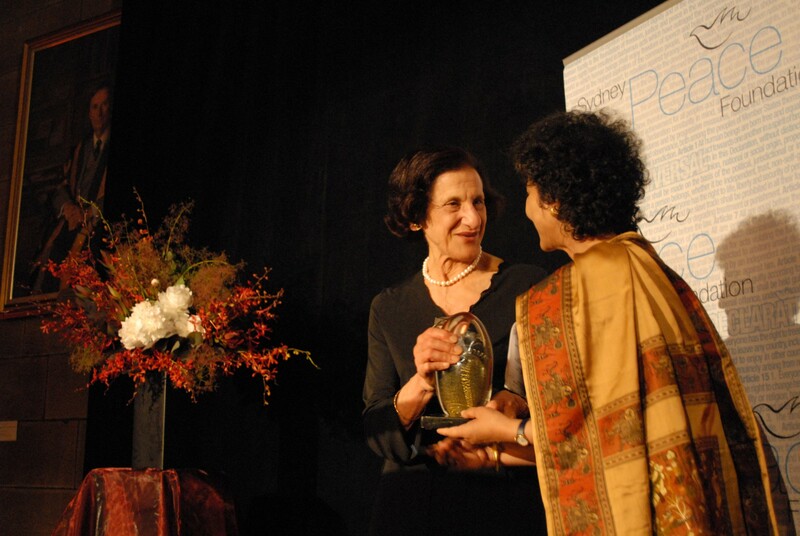 I am deeply honoured to receive the Sydney Peace Prize. Through this award, the Sydney Peace Foundation recognises that there can be no peace without justice and respect for human rights. I passionately believe in the power of human rights as a set of global values to bring our fractured and divided world together. 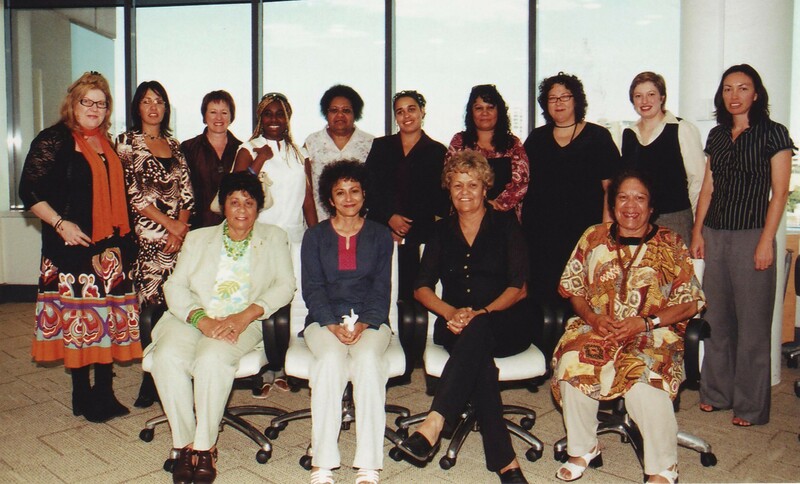 Around the world, human rights activists are giving hope to millions of people – women, indigenous people, the poor and the marginalised – in their struggle for equality and dignity. This award is for them. In their name I accept this award with humility and with gratitude. What I see happening across our world today, is that peace is being redefined, in the interests of the powerful and the privileged, at the expense of the poor and the marginalised. Today the biggest threat to peace is not war, but fear and the failure of leadership. Fear that increases intolerance, threatens diversity and justifies the erosion of human rights. And leadership that is unprincipled and has lost its moral compass.